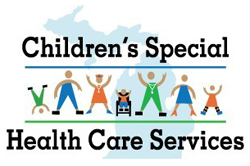 Children's Special Health Care Services (CSHCS) offers medical care and treatment assistance for children with chronic, severe, disabling health problems; and provides service coordination to meet child and family needs. Eligibility is based on the child's diagnosis, severity, and treatment plan—NOT income. Many families with CSHCS coverage have private insurance. CSHCS provides additional help to these families. There is a cost for the program determined by a sliding fee scale. (In other words, the fee is determined by your income.) This fee is waived if the individual applying qualifies for Medicaid or MIChild. What does enrollment in CSHCS offer? Helps pay for visits to specialists. May help pay for specialized equipment such as wheelchairs when they relate to the CSHCS qualifying medical condition. May help pay for medications when they relate to the CSHCS qualifying medical condition. Coordination of services and assistance with finding community resources. May assist with travel and lodging expenses relating to treatment. and care for the CSHCS qualifying medical diagnosis. May help to pay medical bills for a child who has recently died. What does CSHCS NOT pay for? CSHCS does not cover primary care, well-child care, mental health needs, or experimental health care. CSHCS does not provide assistance with incontinence supplies. Incontinence supplies may be a benefit of Medicaid coverage. Contact your DHS caseworker for more information. RESIDENCY: a person must be a Michigan resident to receive CSHCS. CITIZENSHIP: U.S. citizens and some non-citizens may qualify for CSHCS coverage. Citizenship restrictions do not apply to migrant farm worker families. AGE: CSHCS covers persons under age 21. The age limit is waived for persons with certain blood clotting disorders or Cystic Fibrosis. There are more than 2,600 medical diagnoses that CSHCS may cover. 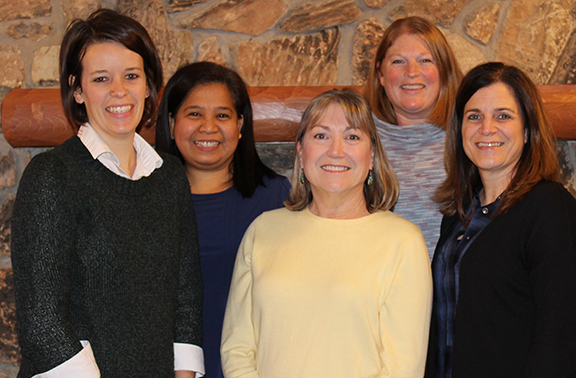 Kelsey DeMull, Irene Atwood, Janine Chittenden, Leslie Ver Duin, and Brenda Kempf. The Ottawa County CSHCS team is made up of support staff, nurses, a program representative and a supervisor. It can be a bit confusing deciding who to call when you need assistance or have a question, so we've provided a brief guide to help. Travel/Lodging, Renewal, Additional providers, billing issues, significant changes in income should be directed to CSHCS Representative, Brenda Kempf :616-393-4445. Questions relating to coverage, medical information, or case management should be directed to Program Nurses, Kelsey DeMull: 616-393-4442. To contact the program supervisor, Leslie Ver Duin: 616-393-4444. Children's Special Health Care Services covers eligible individuals until the day before their 21st birthday or regardless of age if they are covered under the diagnosis of Cystic Fibrosis or certain blood clotting disorders. When children reach age 18, the financial payment agreement is filled out with respect to the client's income; it must also be signed by the child unless someone else has legal guardianship at that time. If you have not recently had a visit with your CSHCS nurse and you/ your child is within 6 months of reaching age 18 or 21, please call to schedule a visit or phone call with your nurse so that we can better assist with any questions or concerns you might have regarding these transitions. 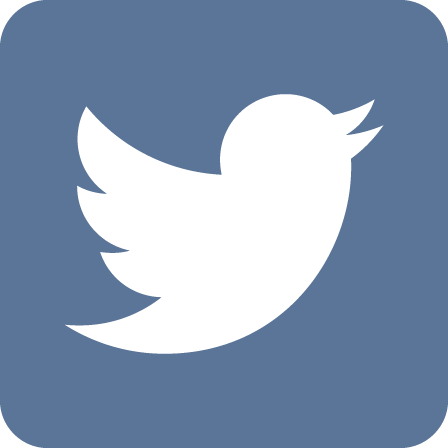 Are incontinence supplies covered by CSHCS? Is travel and lodging a benefit of CSHCS? Why did my provider list (CEN) change? What should I do if I have a grievance or complaint regarding CSHCS? What should I do if I want to go to a provider not on the Eligibility Notice? How does CSHCS work with other insurance? Why did I receive this letter about needing to apply for MI Child/Healthy Kids? What if I do not want to receive MI Child/ Healthy Kids services? What should I do if I receive a bill that I thought CSHCS would cover? Can I be reimbursed by CSHCS for bills I have already paid? What if my provider recommends a provider out of state? How are Medicaid and CSHCS different? Why should I do a visit or phone call with my nurse? How can I best prepare for a visit with my nurse? Travel reimbursement (mileage and lodging) has been restored for the budget year October 2010-September 2011. We thank our advocates and families who worked so hard to get travel reinstated for this fiscal year. To receive travel reimbursement you must contact CSHCS prior to the date(s) of travel. For travel in Michigan contact Brenda Kempf for more information. For travel outside of Michigan contact the family phone line 1-800-359-3722. This benefit allows for mileage reimbursement at the Medicaid rate. Why did my provider list (CEN) change? The medical consultants at CSHCS in Lansing periodically review the medical services being received by clients. This review sometimes results in finding that a service being covered was no longer necessary for treatment of or was not relevant to the child's CSHCS covered condition. Or, it might be determined that the condition your child has no longer meets the severity criteria established by CSHCS. If you disagree with the decision made, you might start by calling your child's local CSHCS nurse. If you have questions, call the CSHCS Family Phone Line at 1-800-359-3722. Contact Brenda Kempf (see contact information) to see if the provider can be authorized. Without authorization, you may be responsible for the bill. NOTE: Pharmacies, medical equipment and supply companies, hearing and speech centers, hearing aid dealers, and home health agencies do not need to be listed on the Eligibility Notice. CSHCS cannot pay for providers that your insurance will not cover. If you see a provider that your other insurance provider does not cover, CSHCS will not be able to assist you in paying for the visit either. If your insurance has “in-network” providers, you must utilize those providers rather than “out-of-network” providers. When you have additional insurance, present both to the providers upon receiving services. The provider will bill your primary insurance first and then bill CSHCS for the remainder. For services or prescriptions relating to the CSHCS qualifying diagnoses, you will not need to pay a co-pay when CSHCS is billed. If you have further questions about how your insurance works with CSHCS, call us! Why did I receive this letter about needing to apply for MI Child/ Healthy Kids? Beginning 11/2010, clients renewing or enrolling in CSHCS whose reported income indicates they may be eligible for MI Child/ Healthy Kids are required to apply. Once notified, if you do not apply, CSHCS coverage will expire in 90 days. When the application is received and processed, coverage will be extended through the remainder of your coverage year. It is in your best interest to apply on-line (www.healthcare4mi.com)! This will speed processing, which allows your coverage for CSHCS to be extended sooner. MI Child is a program for children less than 19 years old who have no comprehensive health insurance, including Medicaid. MI Child services include ambulance, dental services, doctor visits and health check-ups, family planning, hearing and speech therapy, hospital care, medicine, and many other services. MI Child costs only $10/month regardless of how many children in your family are covered by MI Child. The Healthy Kids program is for those under age 19 or pregnant. This service also provides health and dental services. There is no monthly premium for Healthy Kids. What if I do not want to receive these services? You may disenroll from MI Child/ Healthy Kids once you have received notice of eligibility. You are not required to receive MI Child/ Healthy Kids in order to continue receiving coverage through CSHCS even if you are determined to be eligible. DO NOT IGNORE THE BILL! If the bill is from a provider not listed on your eligibility notice, contact Brenda Kempf to see if they can be added. If the provider is already listed or does not need to be listed (see note below), contact the provider and ask them to bill CSHCS. No you cannot. Sometimes the provider will be willing to bill CSHCS and pay you back—Contact your provider. Out-of-state care always requires special approval. Please contact us for assistance in obtaining approval for out-of-state care. One major difference is in terms of eligibility—eligibility for Medicaid is based on income whereas CSHCS eligibility is based on a qualifying medical condition. Another big difference is services covered—CSHCS covers only those providers and services related to the qualifying medical condition, Medicaid covers general health care expenses. Our goal at Children's Special Healthcare is for each of our families to have a yearly visit with one of our Registered Nurses. This meeting allows us to update your child's medical information, and to discover ways that CSHCS can help to improve your child's health and to enhance the quality of life for your child and family. To prepare for your nurse visit it is helpful to have handy a list of the medicines your child is taking, and the names of doctors and providers that they see. The nurse will also review the highlights of the year with regard to your child's health such as testing, treatments, or therapies, so having this information available will be beneficial as well. During the meeting, your valuable input will assist the CSHCS nurse in developing goals for your child's health, including access to specialty healthcare, and for your child's and family's well-being. Also, during the meeting, please let us know of any questions you have, or any problems you are encountering with regard to your child's healthcare, development, and your child's or family's well-being. We may be able to assist you directly or to point you in the direction of other resources that are available within our community. Following your nurse visit, you will receive a written summary called a Plan of Care. This Plan of Care document can be used as a quick reference for future doctor visits, and as a summary to keep track of your child's yearly progress. Special Needs Fund may provide partial or full payments for items including but not limited to: wheelchair ramps, van lifts and tie downs, therapeutic tricycles, air conditioners, adaptive recreational equipment, and electrical service upgrades necessitated by the eligible child's equipment. Family Center for Children and Youth with Special Needs Scholarship offers scholarships for young adults 16-25 with a CSHCS medical diagnosis to attend a conference related to their CSHCS eligible condition or to disability advocacy and education. Family Center for Children and Youth with Special Needs provides information on the Family Center and the services they offer. This is the parent directed section of CSHCS. Michigan Department of Health and Human Services includes a training module about CSHCS and additional program information.